Certify participates in and has certified its compliance with the EU-U.S. Privacy Shield Framework, and is committed to achieving GDPR compliance when the GDPR takes effect May 25, 2018. Certify’s Data Protection Officer and applicable legal, IT, Sales/Marketing and Support teams are in the process of ensuring our products, services, contracts and legal documents meet all GDPR requirements. Certify is a Level 1 Compliant PCI Service Provider. Certify partners with ControlScan for quarterly and annual PCI compliance certification. ControlScan is a highly respected, trusted payment security and compliance firm. ControlScan is an Approved Scanning Vendor and a Qualified Security Assessor of the PCI Security Standards Council. Certify has successfully completed its Service Organization Controls (SOC) Type 2 examination. The examination, conducted by independent accounting and auditing firm BerryDunn, evaluated the processes, procedures and controls for security, availability and confidentiality of Certify. Certify participates in and has certified its compliance with the EU-U.S. Privacy Shield Framework and Swiss-U.S. Privacy Shield Framework. Certify is committed to subjecting all personal data received from European Union (EU) member countries, in reliance on the Privacy Shield Framework, to the Framework's applicable Principles. This new framework replaced the U.S.-EU Safe Harbor Framework that was invalidated in October 2015. To learn more about the Privacy Shield Framework, visit the U.S. Department of Commerce's Privacy Shield List. Certify partners with Rackspace, the global leader in dedicated, private and hybrid cloud hosting. Rackspace is SSAE-16 SOC1, SOC2 and SOC3 Certified, ISO 27001 Certified, and European Union Safe Harbor Certified. 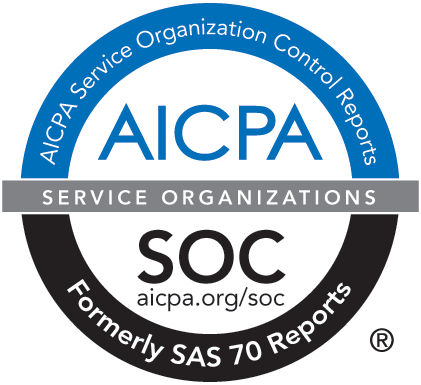 Rackspace has a long history of SAS 70 Type II audits, before SAS 70 was retired in 2011. Certify uses Symantec SSL certificates. Symantec's Extended Validation SSL certificates are used for transport layer encryption throughout Certify. Our certificates use 2048-bit public keys, in compliance with the latest PCI DSS 3.1 requirements. VeriSign's weekly vulnerability assessment tests check Certify for known problems that impact security. We ensure every test returns zero critical findings and zero informational findings. Certify partners with ControlScan for annual authenticated (gray box) web application assessment that includes penetration and vulnerability testing. All findings are reported, mitigated and validated.